Winners are eligible for grace marks according to their grade when they apply for higher courses. Seats are also reserved for the N.C.C. cadets who complete the course meritoriously and they are eligible for getting admission in the reserved seats in various higher courses. At present our college has two troops. One with the strength of 76 cadets consisting of both boys and girls, who are trained by 6 HP (I) COY NCC Una and second with the strength of 50 girl cadets trained by 1HP Girls BN solan. Motto of NCC: Unity and Discipline. Minimum qualification for joining NCC: 10+2 with 17 years of age. Certificates given after completion of course: ‘B’ and ‘C’ certificates. NCC cadet Monika Thakur (Participant of Republic Day Parade 2018) with worthy Prime Minister Sh. 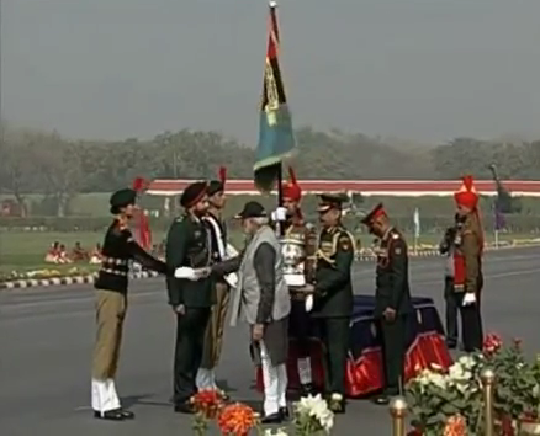 Narendra Modi for Receiving Best NCC Directorate Trophy with DDG Chandigarh. Principal Govt College Una flag off Swachhta Abhiyan Rally organized by the NCC cadets of college. 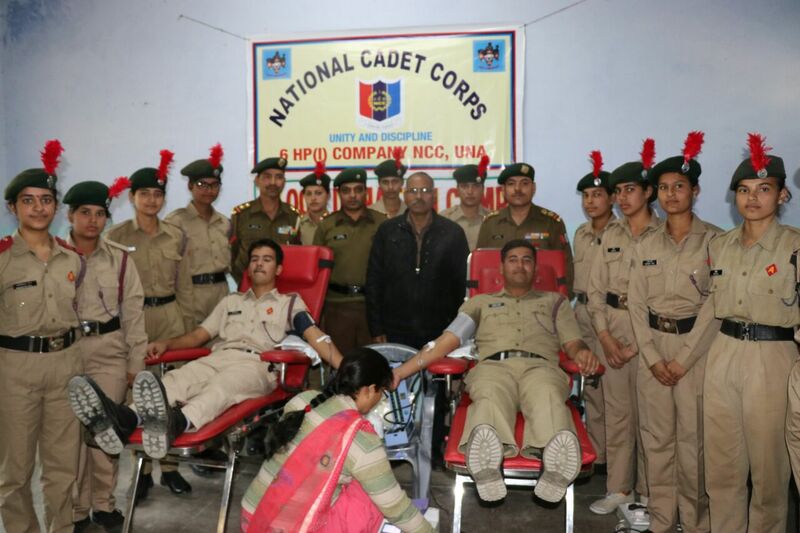 Blood Donation Camp organized by the cadets of our college on the occasion of NCC day. 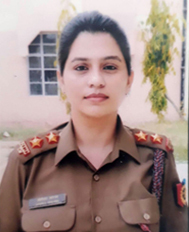 SUO – Senior Under Officer (Highest Rank Given to NCC cadet). 1. They are given preferences to join Indian Army, Navy or Air Force. 2. Vacancies reserved for commission in Defence Forces for NCC ‘C’ Certificate holder. 3. They are exempted from written tests and can appear in direct SSB. 4. 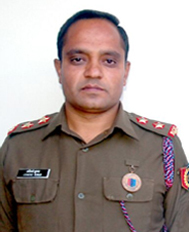 They are given preferences in Rail, Bank, Police, CRPF, BSF, Security Guard etc. 5. NCC cadets can avail canteen facilities (CSD) during camp. 6. They can travel anywhere in India and abroad during camps, all free of costs. 7. They are given preferences in Govt. Jobs. 8. An NCC cadet knows how to protect himself/ herself and becomes physically fit than others.